The Pinterest juggernaut shows no signs of slowing down—and although the online pinboard started as an inspiration haven for individual users, more and more businesses and brands are flocking to Pinterest as part of their larger digital marketing strategy. Before we dive into a few brand examples, let’s take a look at some fascinating Pinterest stats. The site has 1.5 billion monthly page views in the U.S.; 1.9 billion worldwide. Regardless of what industry you’re in (or representing), it’s important to know who’s using a particular site before you launch your strategy. And if there’s one defining behavior that sets Pinterest users apart from those on other social networks, it’s that they’re ready to buy. Barneys New York, Nordstrom, Sephora U.S.A., Victoria’s Secret and Williams-Sonoma top the list of pinners’ favorite stores. When a user sees a product on social media and follows through with an order, their average order value is as follows: $68.72 on Twitter, $80.22 on Facebook and $179.36 on Pinterest. 80% of the top 15 Pinterest categories are connected to commerce. The bottom line? If you work for or are representing a brand or business that has something to sell (and don’t we all? ), you’d better be on Pinterest—or at least seriously considering it, assuming it makes sense for your target audience. Far from a mere online scrapbook, Pinterest has serious clout (no pun intended!) for brands of all industries and can do a lot more than boost your brand’s visibility and story—it can help you sell more things to more people. 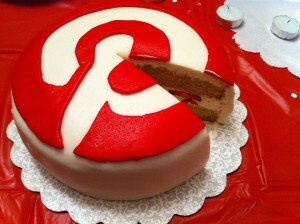 How are you using Pinterest for your company or clients? I’d love to hear more about your experience with the site and what sort of results you’ve seen.